A tranquil ecotourism retreat and farmstay for families in a self-contained cottage set in naturally beautiful surroundings filled with wondrous wildlife and cuddly llamas, donkeys, horses and ponies. Nestled on the banks of the Little River, just 90 minutes from Melbourne, Kingbilli is a tranquil world designed with families in mind. Kangaroos may greet you as you turn between stone wings at the entrance to the long curving driveway; llamas, horses, ponies and donkeys graze contentedly … your mobile reception drops to nil … your children rush off to cuddle the nearest new furry friend … and slowly the pressures of urban life slip away. 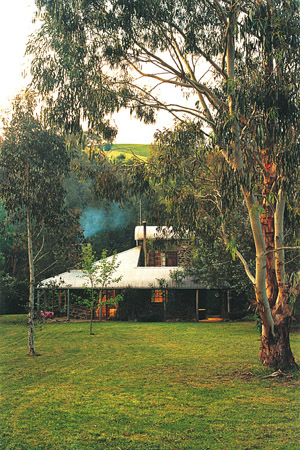 First opened to the public in 1985, Kingbilli’s enchanting old-world cottages, built of bluestone, timber and slate, emphasise the value of simple pleasures. 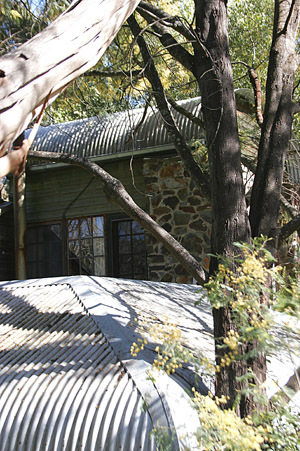 Set in naturally beautiful surroundings, overflowing with native birds and graced by regular visits from bandicoots, possums, wombats and the odd passing pony; they soon became a favoured destination for young families seeking to exchange their often too hectic schedules with the slower, gentler pace of Australian country life. 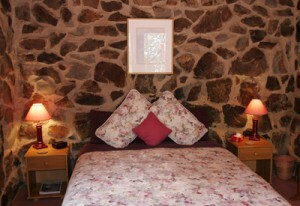 Today, only one of Kingbilli’s three cottages is available to guests: The Studio. This means visitors are especially spoiled, being assured of exclusive use of everything the property has to offer! 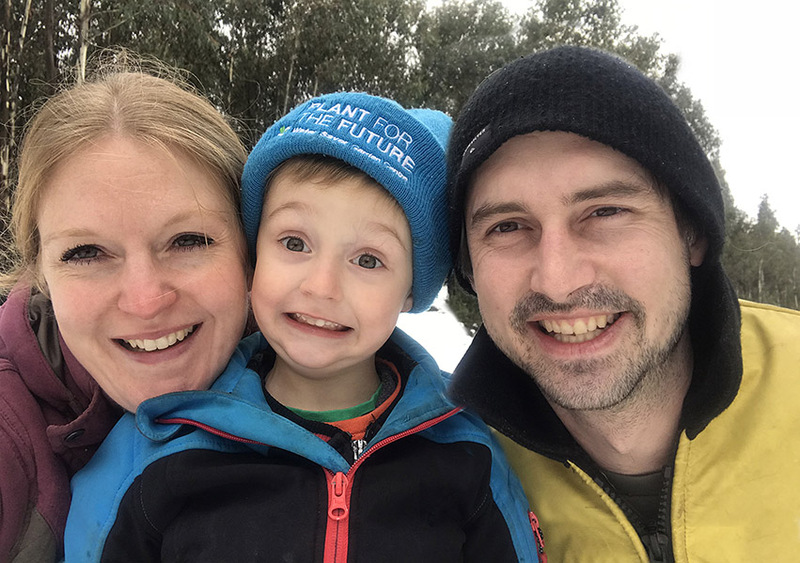 Your only neighbours are our own small family, and our current volunteer couple … and all of us make your preferences our first priority. Your children can run free, without fear of strangers, traffic or ever having to wait their turn. Whilst as parents, you may be as private or as outgoing as you please. Gentle activities for visitors are plentiful – from wildlife spotting, llama, donkey and pony cuddles to our cute little playground or awesome kids’ bike track … never mind the wealth of local tourism hotspots. Our aim is to provide our guests with all the comforting benefits of their own little holiday farmhouse – with none of the responsibilities! 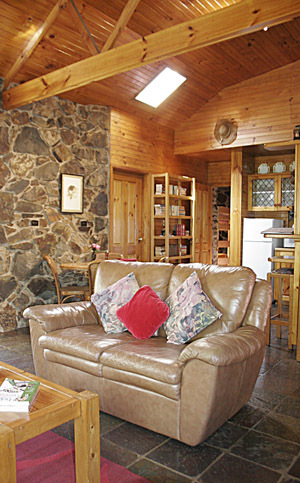 Tucked into the elbow of the creek, The Studio can accommodate up to 6 people. Soft leather furnishings encircle a wood fire, beneath graceful curved ceilings of warmly glowing timber. The custom-made country kitchen is fully-equipped, promising to fulfil any culinary fancy, and there is also a gas BBQ on the verandah. Two separate bedrooms of solid stone ensure a cosy nights’ sleep for everyone in the family: the main bedroom has a queen-sized bed, whilst the children’s room has two sets of bunks. 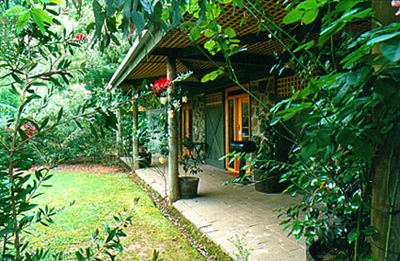 Outdoors, the Studio’s landscaped gardens meld seamlessly into the surrounding bush. 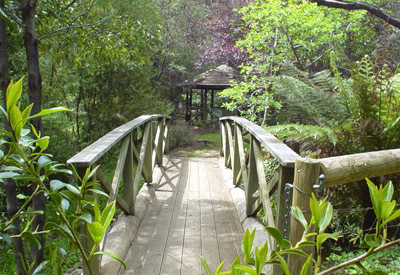 Just footsteps from the verandah, a private walkbridge leads across the lilypond to the Studio’s own island garden, bordered by a frog-filled fernpool and the softly flowing waters of Sterling Creek. Here, a tiny gazebo offers the perfect place to read a paper, sip a cup of coffee and listen to the laughter coming from your children in the nearby playground, or watch them tear past on their bikes to our very own bike track (you will need to bring the kids’ bikes with you). Meanwhile, the most timid of all Australian mammals, the Platypus, moves regularly along The Studio’s stretch of the creek… and some guests are rewarded with the sight of him paddling contentedly, feasting on yabbies and tadpoles. You’ll find more photographs of inside the The Studio here, and there’s a list of everything supplied to guests here. Our prices work on a package basis, and our minimum stay is 2 nights. Click here for a full list of packages. 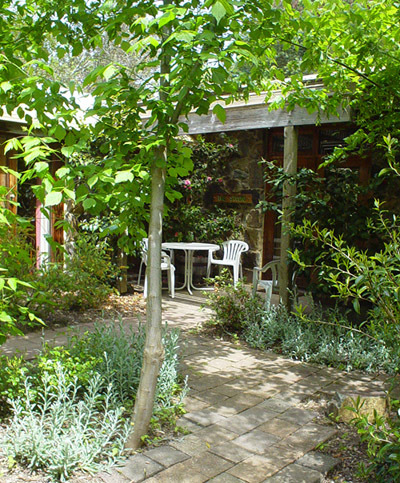 Closest to the Studio is Ballards, our tiniest cottage, occupied by international volunteer couples taking part in our HelpExchange program, based upon a similar concept to the popular WWOOF scheme. This cute, mews-style dwelling is built just for two, lit softly by leadlight windows and warmed by a brass-canopied fire. Coming to us from all over the world, our volunteers are carefully selected, and stay at Kingbilli for between 3 and 12 months at a time, with many returning every few years. 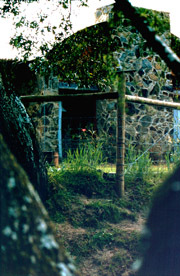 On the other side of the gardens is Kingbilli’s first Cottage. Built in 1980, its old-fashioned casement windows have watched the Beach family toil and triumph through all life’s ups and downs. Initially home to Ginny, Michael and baby Georgina whilst the Homestead was built, it was let to guests for many years, before being reclaimed by said “baby” of the family, 30 years on, as her first home, with her husband, Simon and their young son Daniel. Its soaring timber ceilings and quirky country furnishings comfortably accommodate its two- and four-legged residents alike, whilst the sunny loft bedroom and balcony offer panoramic views across the paddocks to the ranges beyond. All in all… the resulting picture at Kingbilli is one of old-fashioned rural harmony. Some may find it takes more than a few days for the slow, seamless pace of country life to impose itself upon their psyche. Others might simply let the solitude and beauty of the landscape overtake them … sitting to meditate on the rustlings of leaves in the cool evening breeze … or the filament-like reflections of trees and rushes on the still surface of a dam. In these moments, the memory of constant motion in the outside world disappears.